An English ruler provides incremental measurements in inches, with each inch further divided into smaller fractions. A metric ruler provides incremental measurements in centimeters, with each centimeter further divided into millimeters. Often you will find both English and metric measurements on the same ruler (English along one edge and metric along the other edge). Look carefully at the English side of the ruler. A ruler is 12 inches long, with inch lines along the edge of the ruler (1 is at the far left and 12 is at the far right, with every number in between in numerical order). The lines at the inch numbers are the longest lines along the edge of the ruler. Halfway between each inch line is a slightly shorter line indicating the half-inch point between each inch. Each half inch has lines dividing it in half to indicate each quarter-inch point between each inch. Quarter inches have lines halfway between them to indicate eighth inches also. Examine the metric side of the ruler (on the opposite edge). The metric side of the ruler has centimeter numbers from 1 on the far left up to 30 on the far right. 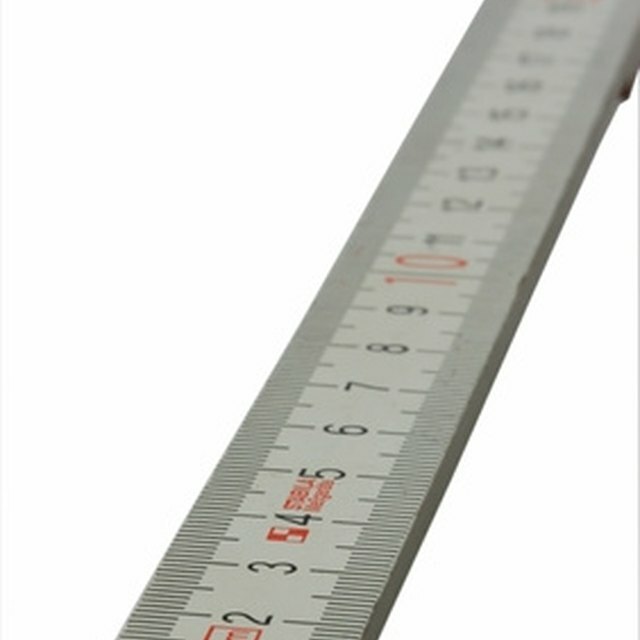 The final metric point on the ruler is 30.5, making the ruler 30.5 cm long. 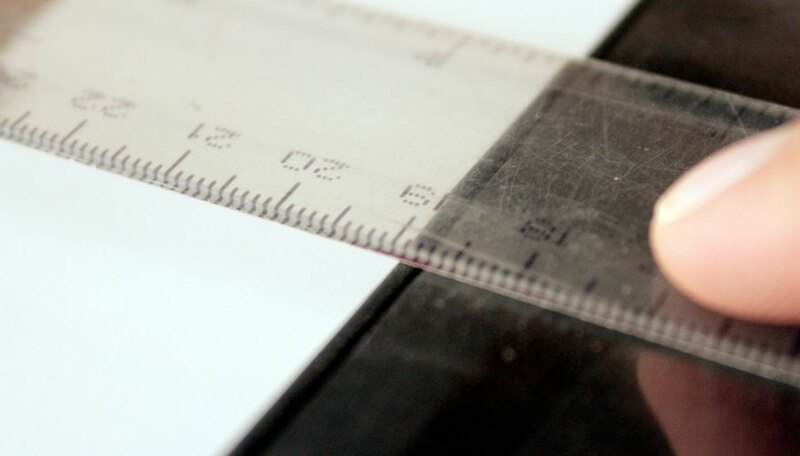 The longest lines at each centimeter number indicate the centimeters along the edge of the ruler. Find the shorter millimeter lines between each longer centimeter line. Each centimeter has 10 equal parts, with nine shorter lines representing the millimeters. 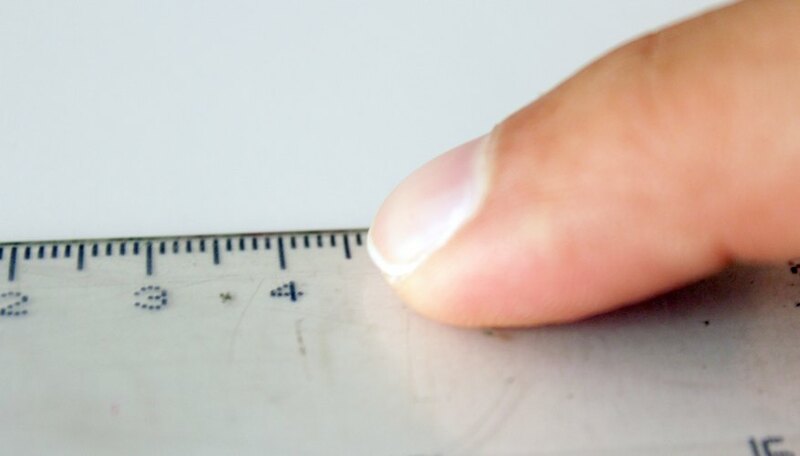 At the halfway point between each centimeter, find a slightly longer millimeter line indicating the halfway point between each centimeter. Determine the English and metric equivalents by comparing the measurements using both sides of the ruler. For example, if a shelf width measures 4.5 inches, look directly across the ruler at the metric edge of the ruler and note that point. 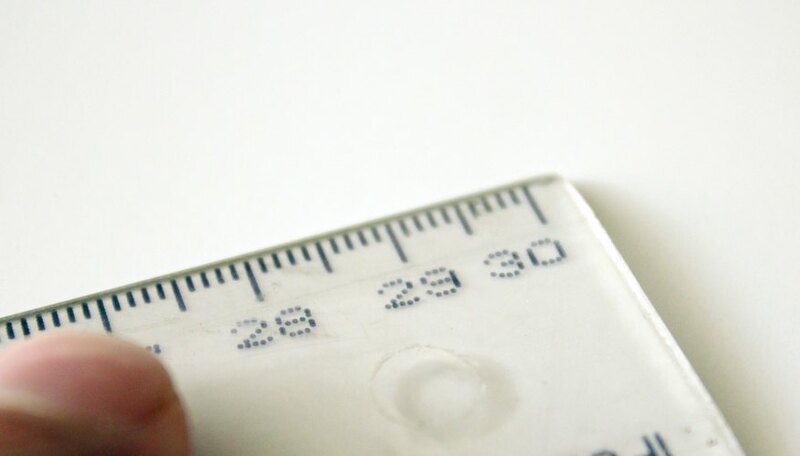 Figure the centimeter measurement of the same shelf by counting the centimeters from the same end of the ruler you used for measuring in inches (the “0” point on the ruler is opposite for English and for metric—always on the left as you hold the ruler and look at the numbers you are measuring with). Counting from the right end of the metric ruler labeled 30.5 cm (the “0” end for the English side), you find that 4.5 inches is equal to 11.5 cm. OnlineConversion: How Do I Read a Ruler? Hatter, Kathryn. "How to Read a Ruler in Centimeters, Inches & Millimeters." Sciencing, https://sciencing.com/read-ruler-centimeters-inches-millimeters-6088070.html. 30 April 2018.